The Council on American-Islamic Relations (CAIR) appears to be the subject of a federal criminal investigation. Although no formal statement to that effect has been made by law enforcement, FBI agents reportedly issued a grand jury subpoena last week seeking internal CAIR documents that are the subject of an ongoing civil lawsuit. CAIR sued P. David Gaubatz and his son Chris Gaubatz in federal court last month, claiming it was the victim of theft and trespassing. In the book, Muslim Mafia: Inside the Secret Underworld That's Conspiring to Islamize America, the Gaubatzes acknowledge that Chris adopted a pseudonym and posed as a Muslim convert to secure an internship at CAIR in 2008. He used his access to take thousands of pages of internal CAIR documents and to make surreptitious recordings of CAIR officials. Citing those records, the book claims that CAIR is part of a conspiracy among groups affiliated with the Muslim Brotherhood "to support violent jihad and undermine law enforcement." Among the book's specific allegations, CAIR officials grossly exaggerate their membership rolls and the depth of their domestic financial support. In addition, they actively thwart law enforcement counter-terror investigations. Following the release of the book, four congressional Republicans sought an investigation into the book's claims that CAIR seeks to place interns on committees dealing with the judiciary and homeland security. Thus far, CAIR has minimized and ridiculed the book's findings, but has not alleged any of it is false. CAIR won a temporary restraining order requiring that the Gaubatzes return 12,000 pages of documents. WorldNetDaily, publisher of Muslim Mafia, posted a story Nov. 24 claiming that FBI agents served a grand jury subpoena on the Gaubatzes' attorney. The move came as the attorneys were about to comply with the judge's order and give the documents back to CAIR. WND publisher Joseph Farah is quoted saying they weren't sure "Which takes precedence - a federal court order or an FBI warrant?" Farah declined to comment Tuesday on what has happened since then. Josh Gerstein at Politico notes that the government filed a sealed motion in the case Friday. *Updated December 2, 4:20 p.m.
U.S. District Judge Judge Colleen Kollar-Kotelly has signed an order based on the government motion. Both the order and the motion remain under seal. According to the docket in the Gaubatz/CAIR suit, Lynn Haaland, an attorney in the Department of Justice's National Security Division, is listed as an "interested party" in the lawsuit. It's possible the grand jury's target is more narrow – on a CAIR official or officials, but the presence of a national security prosecutor indicates the grand jury's interest is not on the Gaubatzes behavior. Last year, the FBI cut off communication with CAIR on outreach and other general informational contacts. That move was based on evidence from the successful Hamas-support prosecution of the Holy Land Foundation for Relief and Development (HLF) linking the organization and its founders to Hamas. CAIR co-founders Nihad Awad and Omar Ahmad (a.k.a. Omar Yehya) were included in a telephone list of a U.S.-based Hamas-support network and the two participated in a secret 1993 gathering of Hamas-members and supporters aimed at undermining the U.S.-brokered Oslo Accords which created the secular Palestinian Authority. Awad and Ahmad were then leaders of the Islamic Association for Palestine (IAP), a Hamas-front that exhibits in the HLF case show was an original component in the Muslim Brotherhood's "Palestine Committee" which was created to support Hamas in the United States. In that weekend-long gathering, FBI recordings show the group discussed creating a new Islamist lobbying arm. CAIR was created the following summer and immediately was added to the Palestine Committee's agenda. 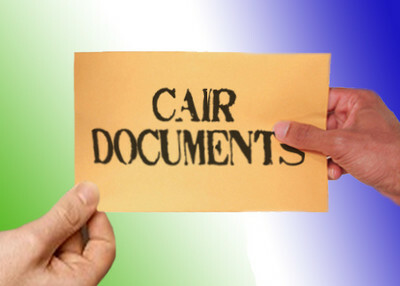 In explaining why it cut off CAIR's access, an FBI official expressed in writing the bureau's concern "whether there continues to be a connection between CAIR or its executives and HAMAS." The consequences of that question may have risen to a new level. CAIR is a terrorist organization, however Obama is nothing like a promoter of Islam. John you can't be serious. He has CAIR people on the Homeland Security board. He went to school in Indonesia in his formative years. He sits in a church for 20 years that preaches hate for America. Get a grip on reality. Drop the PC Obama worship routine. TV/radio station Al-Jazeera has for years been encouraging muslim families to donate their children to be a Shahiid. This was their warfare in Israel, and hundreds of Israelis were killed by these walking bombs. If Al-Jazeera's license is not revoced by the FCC, we can expect Islam's warfare to continue in the USA. It is not wise to push sensible liberals into the camp of CAIR apologists by falsely accusing Obama of promotion of Islam. The fact is that most people make their most important decisions based on whether they like somebody, not the merits of the matter. When people on the fence hear such stuff, it makes it difficult for them to evaluate information objectively. Obama, during his early campaign, stated that he would ignore Pakistan's sovereignty and send troops in when GW Bush was kowtowing to Musharraf. He has said other things in unguarded moments that show that as a Christian, Obama is definitely not pro-Islam. Obama's so-called ties to Islam are purely from childhood necessity. He is, under Islam, a Murtadd, (apostate) since he was born from a muslim father. That means he is eligible for execution by muslims, although some in Islam would say that since it was childhood only that Obama should be imprisoned and given the choice to renounce Christianity or die. Obama having a death sentence on his head for being a Christian is not exactly going to make him more friendly. But, just like GW Bush, (who protected the top imam of radical terrorist islam from the FBI right after 9-11) politics forces certain language on presidents. You will find similar public statements soft on Islam from Generals MacChrystal, Petraeus, and others. The way to fight this is to get hard, objective evidence in front of the public. This is what the Gaubatzes have done. Support that, and be very careful about tying the fight against Islam with political slanders that only narrow our base of support. We need everyone that can be brought into this fight. We do not need to make enemies by being stupid.